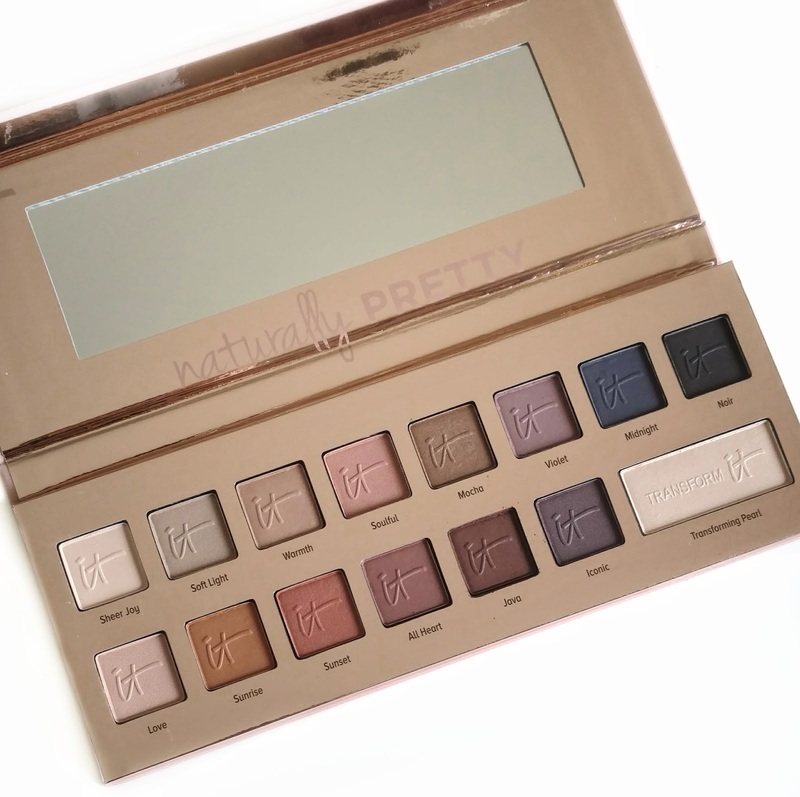 I recently picked up the IT Cosmetics Naturally Pretty Palette during the Ulta sale and I thought this would be a great time to review it since it's currently 25% off at ITCosmetics.com (until 4/28). This palette has been on my wishlist for quite a while now and I'm so glad I finally got the chance to try it. If you like matte eyeshadows, I think you'll really enjoy this, so keep on reading! 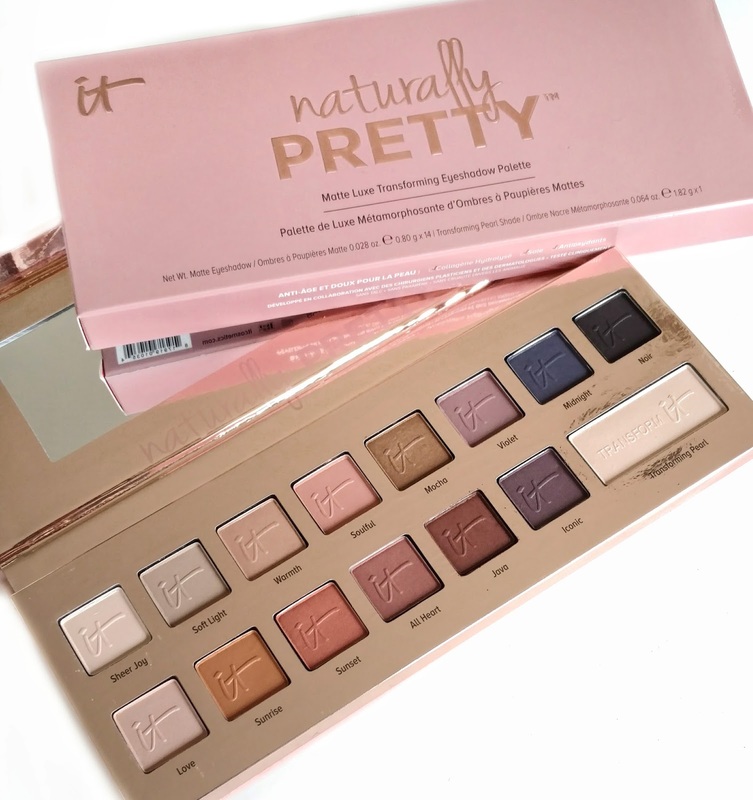 This talc-free palette includes all of the naturally pretty, universally flattering shades you need to go from day to night! All shades can be used wet or dry as shadows or liners and are designed to make your lids look younger with lid-loving ingredients including Peptides, Hydrolyzed Collagen, Acai, Green Tea, Silk and antioxidants! These luxe, anti-aging shadows were developed with plastic surgeons to instantly diffuse the look of lines and wrinkles on the eyes and lids. 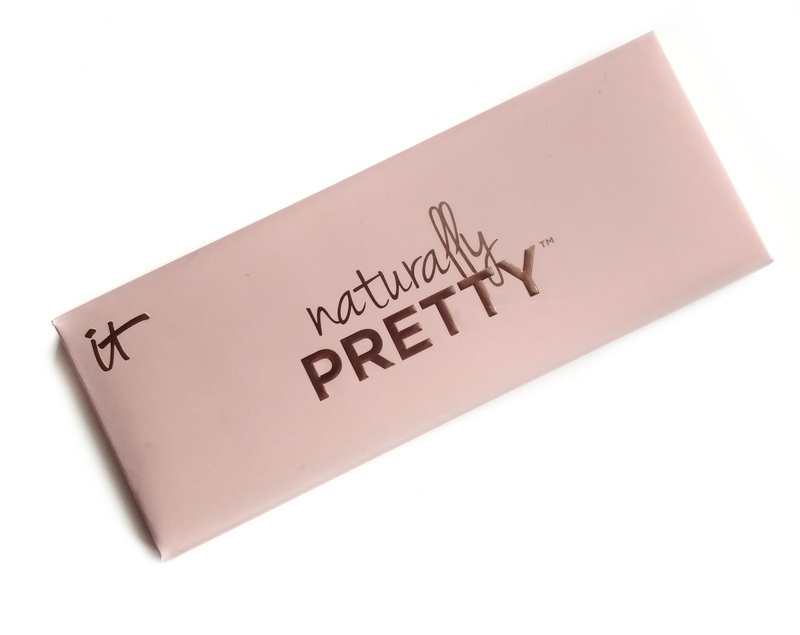 The Naturally Pretty Eyeshadow Palette comes housed in a pale pink, soft-touch palette with a magnetic closure. I can definitely see this getting my grubby fingerprints all over it, as the material feels sort of rubbery (similar to Nars packaging) and will easily attract dirt. Inside, the palette has a really pretty, reflective rose gold interior with a mirror. 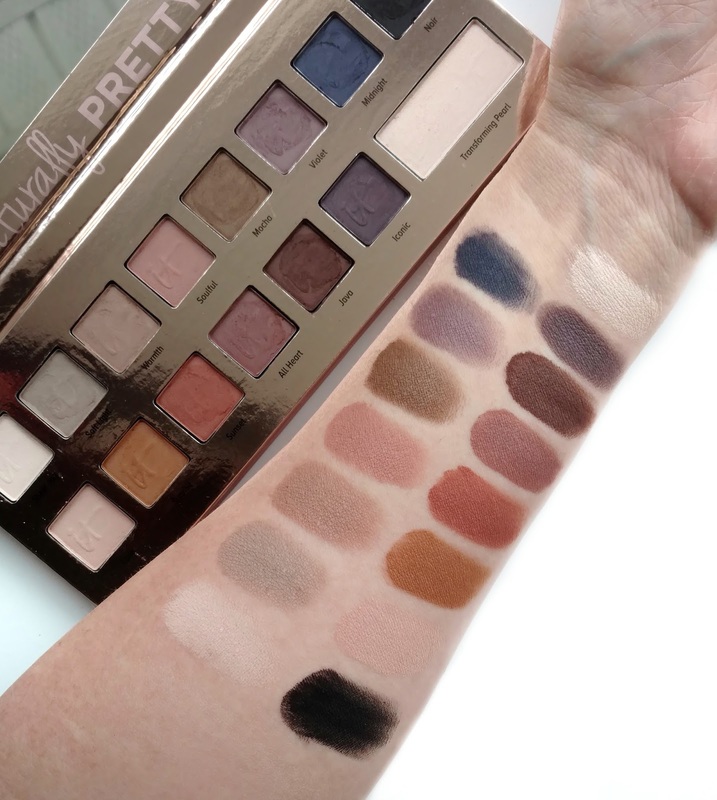 There are fourteen matte shades plus one "transforming pearl" shade which is supposed to be layered with the matte shadows to change their finish into more of a pearly one. I don't actually use it that way because I find that layering that pearl shade with one of the mattes makes the color too muted. I love to use the pearl shade as a browbone/inner corner highlight instead...it has just the right amount of sheen without too much sparkle. The formula is beautiful...very silky and smooth with great pigmentation. The colors blend so nicely with no drag on the skin and without much fallout. This is definitely a more muted color palette so this is a perfect palette for someone who loves a natural look. I have hooded eyes so I usually prefer matte shadows over shimmery ones, and what I love about these matte shades is that they're not completely matte...they have just the slightest hint of pearl to them which prevents them from looking flat or dull on your eyes. I love the mix of warm and cool tones in this palette...there are some really pretty mauves and purples, burnt orange and even an olive green. Here I swatched the colors on my skin with no primer (I did moisturize beforehand which I find helps the color to go on more smoothly since I have such dry skin). All of the shades performed beautifully...I didn't find one dud in the bunch. Overall, if you love matte eyeshadows, this is a great palette to have in your collection. It has a very versatile color range and the quality is awesome!